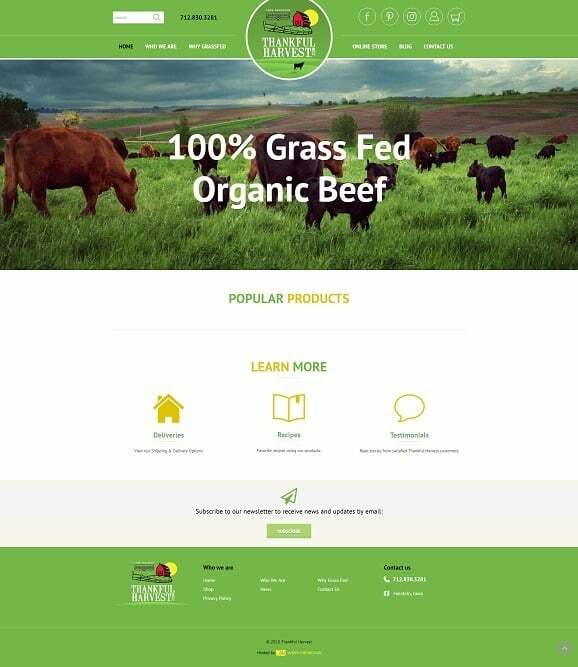 Thankful Harvest is an Iowa-based farm that raises grass-fed, organic beef, lamb and chicken. Grass-fed meat, knowing your farmer and organic practices seem to be growing in favor among people across the country. And while Thankful Harvest has been selling and servicing people in Iowa and Nebraska for years, they wanted an eCommerce website that would help them streamline selling and shipping their product across the country. Thankful Harvest used a WooCommerce shopping cart system. This robust cart provides an easy admin area and many additional plugins that allow for streamlined shipping. Additionally, this new online shopping cart integrates with its QuickBooks system for easy billing and tracking.